School Archives | How Do You Do It? 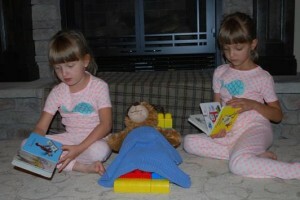 Shhhh…I’m writing here, instead of on my own blog, so my girls won’t see this confession. I can’t utter this aloud, but I hope writing about my disdain will be cathartic. 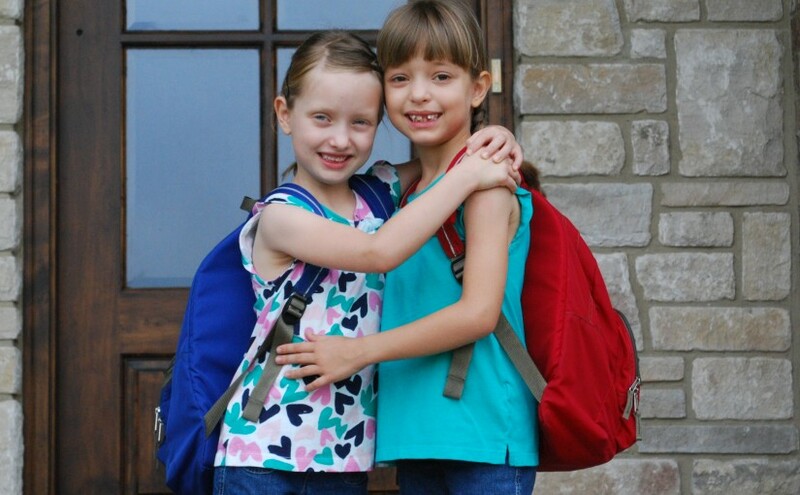 My twin girls are in kindergarten this year, in separate homeroom classes. Each class has a “pet”. It’s not the living, breathing kind (thank goodness)…but rather the stuffed variety…and each child takes a turn bringing Thomas or Rowdy home for an overnight visit. My A got to bring Thomas home the very first day of school, and she was incredibly excited. I was excited, too…how stinkin’ adorable was that??!!! 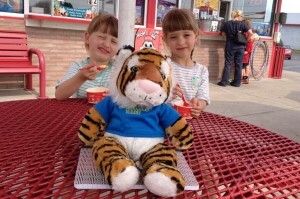 We celebrated the first day of school with ice cream, and we had fun making pictures of Thomas at the ice cream stand. A few days later, my B got her turn with Rowdy. 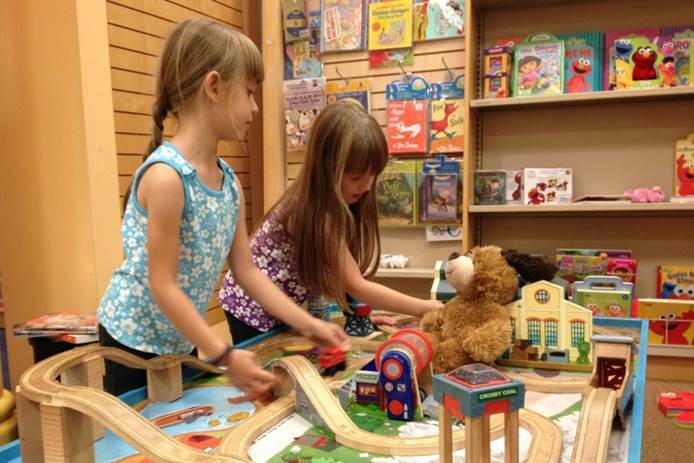 It was a weekend, so we took him to the bookstore with us, where he enjoyed playing with the train set. Sure, this is a great exercise! Fun! It offers families another way to get involved with their kid’s school life! It gives us a glimpse into what other families do! But…it’s a lot of work!!! We once built a bed for the animals out of blocks…blocks that could be sanitized the next day! Hahaha! 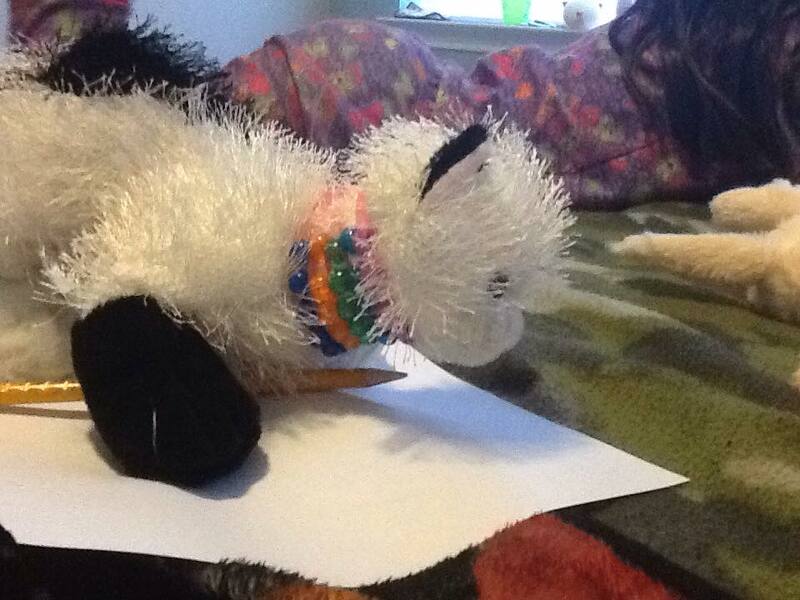 As part of the hosting duty, the parent/child writes in the animal’s journal about what they did together. We try to do something fun…something journal-worthy…with the critter at night. Our evenings are so jam-packed with homework, supper, and getting to bed by 7pm, though, that’s a tall task in itself. In the mornings, I want to involve the girls in what we write in the journal…but I’ve finally decided we have to get up 30 minutes earlier (THIRTY MINUTES!!!) to accomplish this. The girls prescribe what I should write, and then they paste pictures and draw. This last week, Baby A wrote a few lines (in kindergarten phonetic speak) herself [which was incredibly adorable]. The girls’ birthday topped the cake (no pun intended). As the birthday kid in their classrooms, they each got to take home their class pet. So…in addition to the family birthday festivities we were trying to cram in on the first day back to school following the holiday break, we had BOTH critters to accommodate. Rowdy and Thomas played the girls’ new Connect 4 game (after the girls went to bed). My head is itching, just writing about this. I will make it through the balance of this school year. I will smile as genuinely as possible when my girls bring their beloved class pets home. We’ll do fun things. I’ll take pictures. We’ll write and draw in the journal. I’m sure I’ll miss this one day…at least in some strange way…but for now, pardon me while I go clean something. Yes, writing this does make me feel a little better. Anything you need to confess today??? Go ahead…we won’t tell!!! I firmly believe that school administrators mean well. They have to balance the needs of the individual child against the needs of the entire student population. Like parents, however, school administrators are sometimes wrong. They sometimes have incorrect information available to them. They sometimes lack all the information available on a topic. And yes, on occasion, they’re stuck in their opinions and not open to changing them, regardless of the evidence presented to them. As parents, we are our children’s primary advocates. On occasion, we make mistakes, and I’d like to think that we learn from them. It’s essential to support others parents in standing up for their kids. Standing up against school administration can be particularly difficult. We received the following heartbreaking email from reader Gayle. I need help. My fraternal boys were separated for their 2 years of pre K. It was very hard. One is a little more spirited and had a tougher teacher. We wanted them together, and they wanted to be together for their 2nd year of pre K but were met with resistance and told to wait for kindergarten. They could be together then. So I swallowed that gut feeling and saw my spirited son develop a facial motor tic and now also a vocal tic. I am seeing anxiety in him. We found out at the end of the year conference he was calling himself a bad boy and saying he was bad! That broke my heart!!! He has never said that at home. Then they told us the boys need different Kindergarten teachers “because they have different learning styles and would respond better to different teachers”. They truly don’t know if they have the same learning style because they’ve never been given the chance to have the same teacher. I want them together so I know they have the same rules and more equal treatment. And when M feels nervous or feels he has no friends he can look over and see his brother. I am fearful for him. The superintendent took almost a month to “review all the data and info” but yet would accept none from us. We have a meeting to “discuss placement” – I am quite sure its not going to be to put them together. 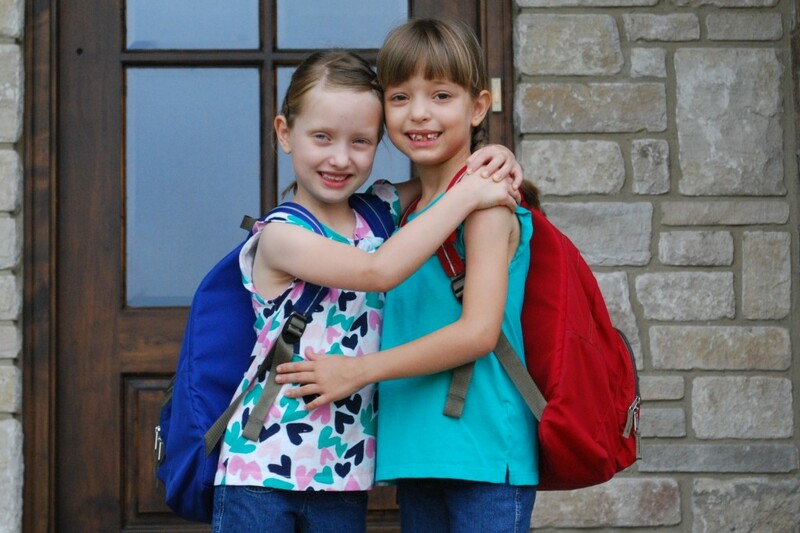 2 other sets of twins going to Kindergarten have been allowed to be together. So why not give ours the chance? I don’t want to always wonder “what if”. I’m sure that your heart hurts for this family as much as mine does. Gayle welcomes your support, suggestions, and recommendations in the comments. Learn your rights. 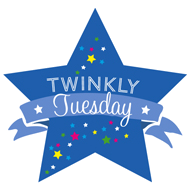 Many US states have a Twins Law that guarantees parents of multiples final say in whether their children should be in the same classroom or different ones. Get all communication from the school in writing. Print out emails and texts and keep them in one place. 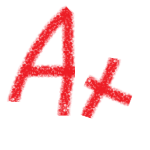 If you hear something that a school official is unwilling to commit to paper or an email, then you can email them saying, “I would like to confirm that when we discussed W, you said X, I said Y, and we agreed to Z.” Invite them to respond with corrections to your statement and give them a deadline by which to respond. End with, “If I don’t hear back, I’ll assume that I’ve correctly represented your position.” Copy anyone you think needs to be informed of what was discussed. Commit to writing all your communication with school officials and related professionals. Document your discussions in email as described above. Also, I strongly recommend preparing for every meeting with school officials by writing down all your arguments and bringing those notes with you. It’s easy, in the heat of the moment, to forget everything you wanted to communicate. Trust me. I’ve done it. Seek out support from professionals who know your children as individuals. Don’t be afraid to confer with your pediatrician, speech therapist, occupational therapist, physical therapist, psychologist/counselor, or even friends and family who know your children. Get them to write down their thoughts and recommendations. I know that it can feel like you’re imposing when you ask for supporting documentation from these people, but remember that your child’s wellbeing is at stake. It’s also okay to seek out a second opinion. For example, if the school speech therapist doesn’t think your child needs services, but you’re certain that she does, get an independent therapist to evaluate your child. We had to get a second opinion for my daughter M.
Keep copies of everything. On occasion, you’ll have to hand out copies of your documentation. Make sure you keep a copy of everything. Everything. 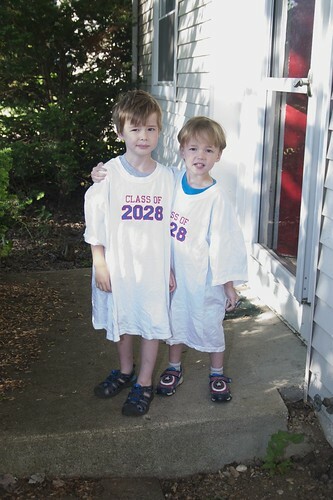 I submitted my twins’ kindergarten year school records to their new school… and they lost them. I still don’t have copies. Be aware that you may have to fight the same fight over and over. A new teacher, principal, counselor, or even school year may necessitate you making the same argument for your child all over again. I was fortunate that the second time I had to argue that my daughters be taught at their level regardless of their grade placement, I had the school counselor in our corner… and my arguments were practiced and polished. Seek out existing advocacy documentation. 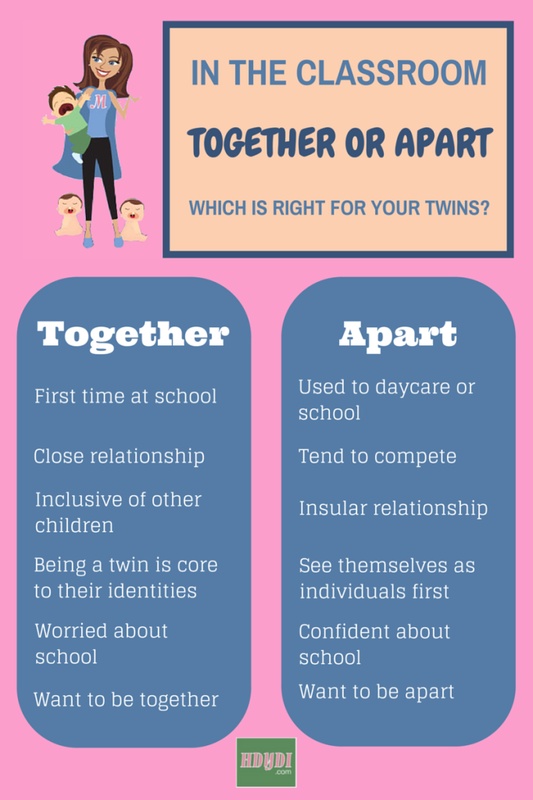 For those of us who need to advocate for twin-specific issues, know that there are tools out there to explain the variation and commonalities of multiples’ experiences in school. At this year’s Multiples of American convention, I picked up a copy of the NOMOTC guide titled Placement of Multiple Birth Children in School. This is a resource I highly recommend, and can be purchased from Multiples of America. I am so convinced of its effectiveness in helping us advocate for our children that I will commit to lending my copy to any HDYDI reader who wishes to borrow it. I will mail my copy to you at my expense and ask you to return it to me or pass it along to the next person in line at your expense. For other issues, I recommend that you seek out organizations specific to the issue. They may have documentation available to you. Seek out proponents within the system. Sometimes, having a friend within the system who knows you and your children can be the difference between smooth sailing and a fight. Be polite to everyone you meet and help out where you can. The friends you make can help you navigate school system politics. Now, a few thoughts specific to Gayle’s very difficult situations. You are not alone. We are behind you and support you in your efforts to do what’s right for your sons. We are angry and sad right with you. 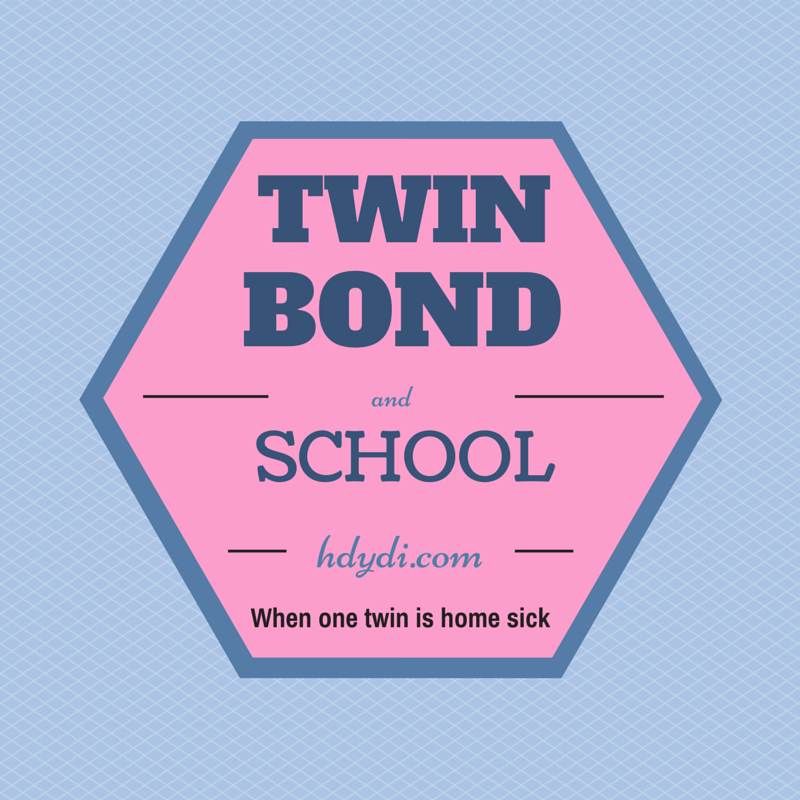 Find out whether your state has a Twins Law. Many states and countries have laws in place that protect a parent’s right to make classroom placement decisions for their multiples. You are the expert when it comes to your children. You. Not the school administration, regardless of what they think they know from the classroom or their general assumptions about twins. We would recommend getting an evaluation from a child psychologist. I predict that a professional outside the school system would back you up. 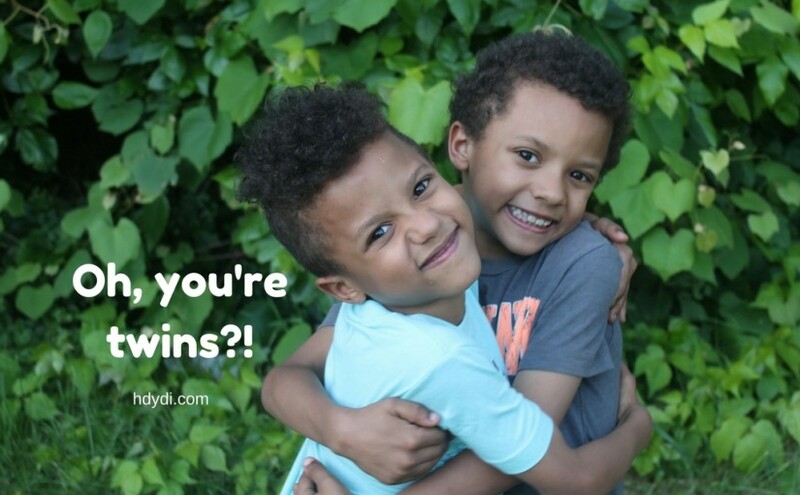 Contact your local mothers of multiples club and find out whether there’s another mom or two who can testify to the importance of treating twin sets in a way that acknowledges each child’s needs. The “different learning styles” argument has big holes in it. Any decent teacher is capable of teaching a group of children, each with his own learning style. Point out, by email, that you have documentation that needs to be considered by the superintendent. If you receive no response, you can turn to local news outlets to help you put pressure on the school district. Do what you can to tease apart what part of the negative experience may have come from having a poor teacher as compared to being separated. 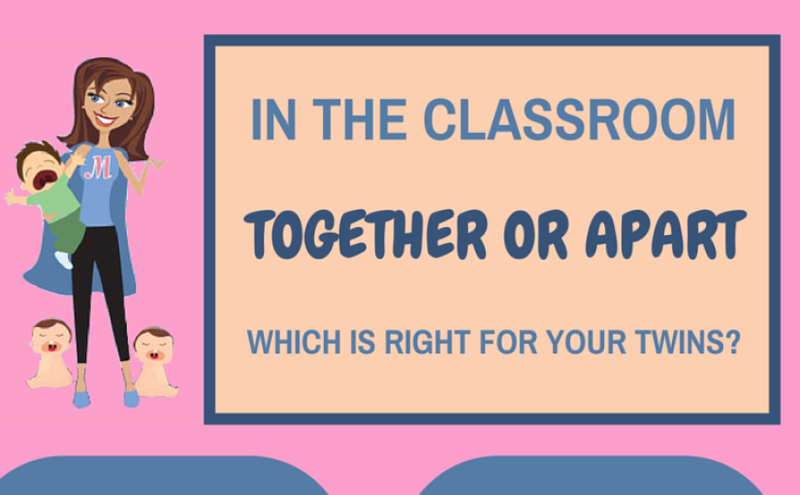 Ask your boys what they want as far as classroom placement, and why. If all else fails, be open to switching school districts. I bought a house that would us at the school I wanted for my girls. 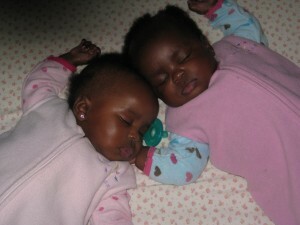 What advice do you have when it comes to being an advocate for twins? Sadia (rhymes with Nadia) has been coordinating How Do You Do It? since late 2012. She is the divorced mother of 8-year-old monozygotic twins, M and J. She lives with them and their 3 cats in the Austin, TX suburbs and works full time as a business analyst. She is the newly minted Single Parent Coordinator for Multiples of America, also known as the National Organization of Mothers of Twins Clubs (NOMOTC). She retired her personal blog, Double the Fun, when the girls entered elementary school and also blogs at Adoption.com and Multicultural Mothering. 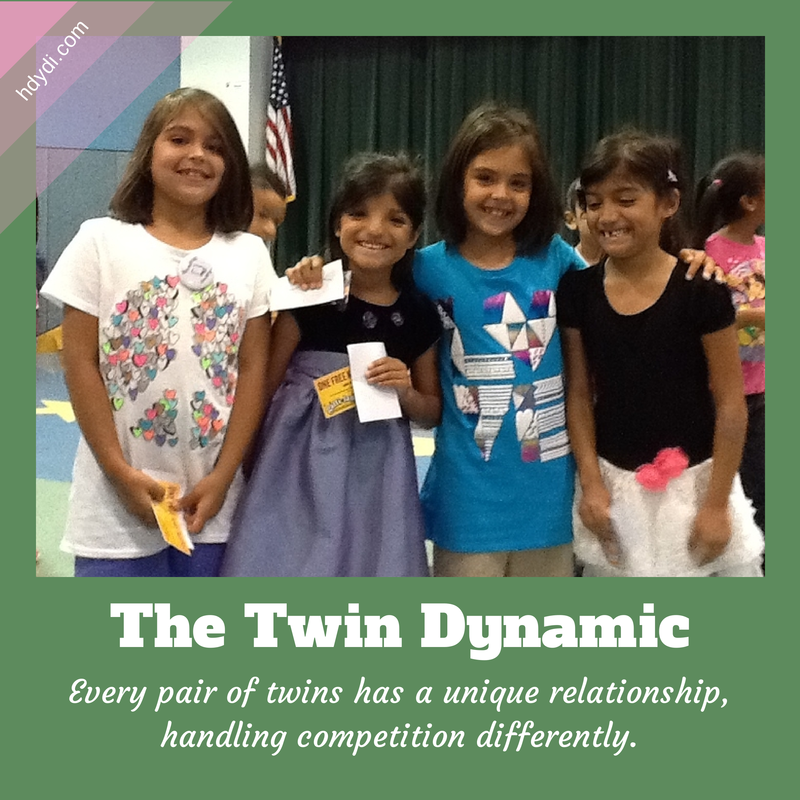 My daughters were only one of four sets of twins in their grade in the school’s dual language program. Forty-nine kids. Eight twins. This meant that their teachers got some really great insights into the variation that exists in twin relationships. We got to talking about this the other night over dinner, and I found Mrs. H’s observations to be fascinating. Both my 8-year-olds, M and J, are excellent at math. However, M is extremely public and loud about being good at math. When she has nothing else to do, she walks around multiplying 2 and 3 digit numbers in her head and announcing her results to everyone within earshot. J just does the math she needs to do to get through her day and make her teachers proud. She’d rather read. In a recent math/problem-solving competition, it was J who placed nationally. M did extremely well, earning a spot on the honour roll thanks to her 90th percentile score, but J got the really big deal award. Their teacher, Mrs. H, who is also their best friend’s mother, is very sensitive to all her students’ confidence and emotional needs. So, before announcing J’s accomplishment to the class, she asked M if it would be okay to acknowledge her exceptional performance on this test. She reminded M that she was fully aware that she was the Class Mathematician and that she really does have stupendous numerical and logical abilities. M didn’t hesitate for a moment. Of course she wanted J acknowledged. She was proud of her sister. She was prouder of her sister being one of 89 students out of 25,000 nationwide to earn a perfect score than she would have been had she achieved it herself. In fact, it was M who bragged to me (and every stranger we encountered) about her sister’s performance, not realizing I’d already heard from the teacher. I was the one to point out how well M had done, and she poopooed my enthusiasm in light of J’s win. Mrs. H observed to me that my daughters’ pride in each other, protectiveness of each other, and lack of competitiveness in academics was unique among the twin pairs under her tutelage. J and M can bicker with the best of them, but when there’s an accomplishment to be noted, there’s never any resentment. They have no sense that one sister performing better diminishes the other in any way. 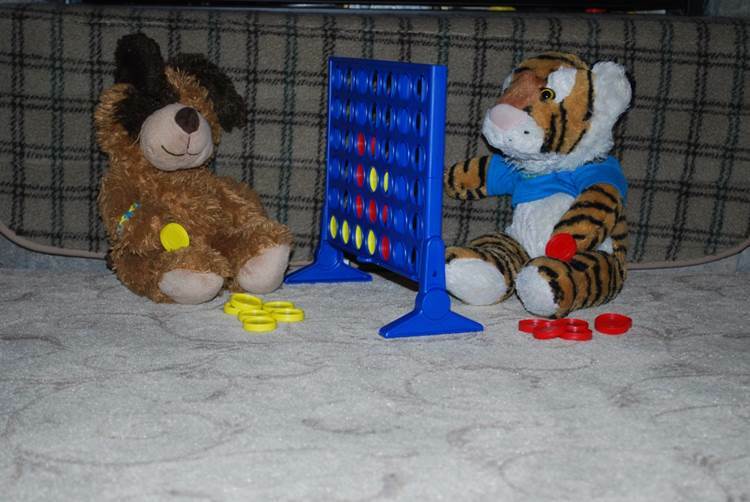 Neither of them can stand to lose at board games, though. The tears that have been shed in our house over Candyland, Monopoly and Yahtzee could fill a small lake. I banned playing for points the day I introduced Scrabble. The other girl twins, Mrs. H told me when I asked, are rather more likely to measure their academic performance against each other. They’re more likely to take differences to heart. They, too, are extremely high performers at school. Mrs. H joked that when other teachers make comments about how smart “her twins” are, it takes quite a bit of digging to figure out which pair is under discussion. All four girls have straight black hair, are half-Mexican, dress differently from their sisters, and are sweet, well-mannered, and popular on the playground. The two sets of boys were in the class at different times, so they’re a little easier to distinguish. The boys, too, are rather more competitive than my daughters. I think it’s important to remember that multiples, as sets, are as unique as they are as individuals. 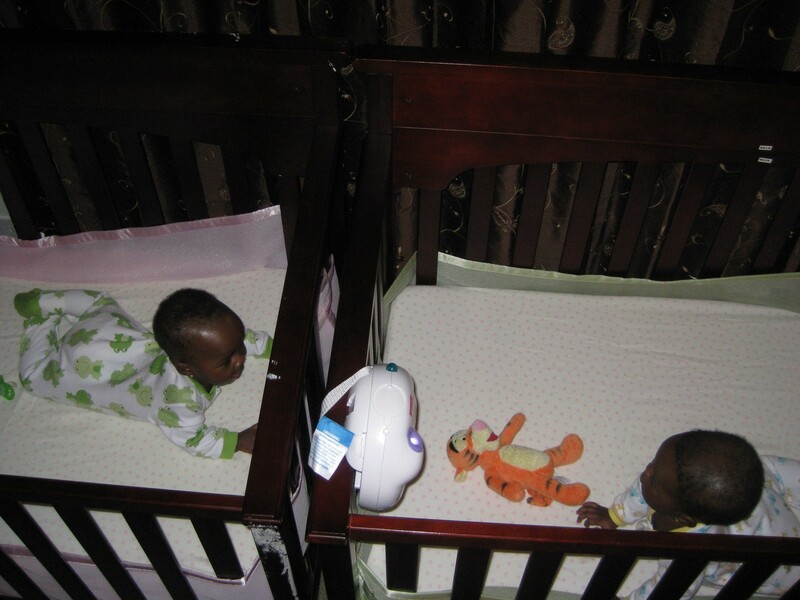 My twins’ relationship doesn’t look like your twins’ relationship, and that’s good and normal. I wish more educators were like Mrs. H, recognizing that being a twin doesn’t dictate how a child interacts with the world. At least in my experience, the twin relationship enriches the individual child, rather than dictating her behaviour or limiting her options. Stay tuned for a post next week containing our advice to a mother who is fighting for her sons’ right to be in the same classroom. I so wish they had Mrs. H as their teacher. She gets it. My 7-year-old M was on a communication kick Monday night. She spoke to her father on the phone, texted her stepmother, and texted her grandmother. Grammy immediately called her back, and they had a nice conversation. A major news item that M chose to share with Grammy was that she was one of only two kids in her class to get 100% on their latest math test. Not even her twin sister J had made 100%, she told her, and then shared J’s grade (still an A, by the way). J was livid. M was still on the phone with Grammy when J stormed over to me, near tears. She was so indignant that it took a couple of tries to get J to notice that I agreed with her. I told her to speak to M once she was off the phone to air her concerns. J wasn’t convinced at first. She felt that M should already know that telling someone her grades was off limits. I told J that she could come to me if she felt that M wasn’t listening. They had their conversation in their room, and M came out, running. Her attitude was a mixture of embarrassment and anger. I told her that it was fine, but that she needed to respect J’s need for privacy going forward. She agreed and J was mollified. I thought that this topic was closed. Yesterday morning, however, J confessed to me that her confidence had taken a beating. She was convinced that M was smarter than she was because she got 100% scores consistently in math, while J had a couple of grades in the 90%-95% range. It was hard to maintain a serious demeanour as I saw my own elementary school misgivings played out in my daughter’s mind. I did my best to point out that an A was an A, and that J still did better than the majority of her classmates, many of whom she considers plenty smart. I pointed out that she had been able to independently identify the mistake she had made on her test by looking at M’s answers, without even having her own test in front of her. I pointed out that she was just as good as M at solving problems in our everyday activities. I know that I’ll need to boost her confidence over the next while, until J realizes that slight differences between her performance and her sister’s on tests don’t indicate an intelligence differential. Both kids are extremely bright. I give them 3-digit multiplication problems to do in their heads at home and their writing teacher has given them Latin roots to work on, all at age 7 (second grade). This incident makes me wonder, though, how parents of multiples who aren’t as evenly matched in academic ability handle kids’ tendency to compare themselves to their siblings, whether they’re comparing grades or other measures of success. Do your twins or higher order multiples compare their performance to that of their siblings? How about different aged siblings? How do you handle differences, whether perceived or real?